Looking for some easy ways to prepare for a Microsoft IT exam, or just looking to test out your MS computer knowledge in general? Microsoft’s Are You Certifiable Game challenges your IT knowledge in a fun way. 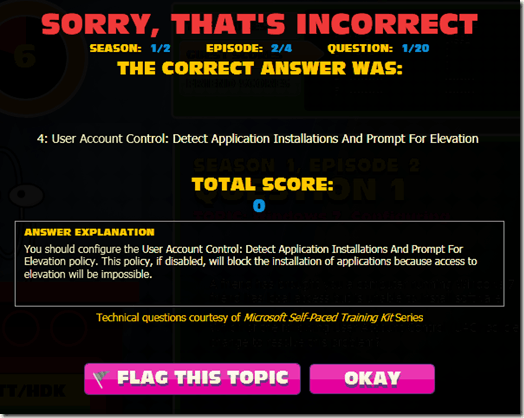 Rather than traditional A,B,C,D quizzes, Are You Certifiable has a cooler, game show like interface. 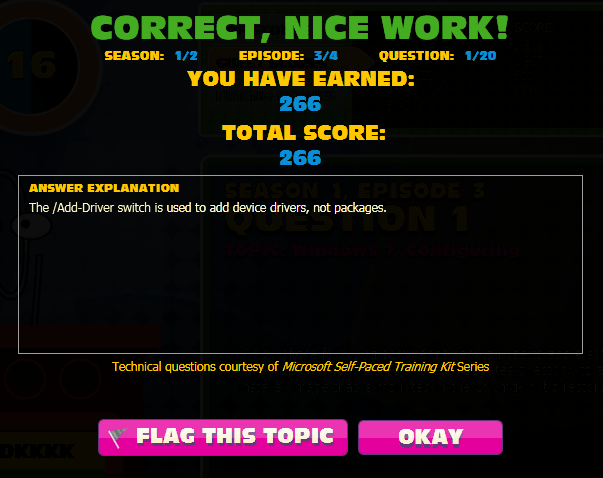 Aside from being a general quiz, this Microsoft game also allows you to choose your specialty. 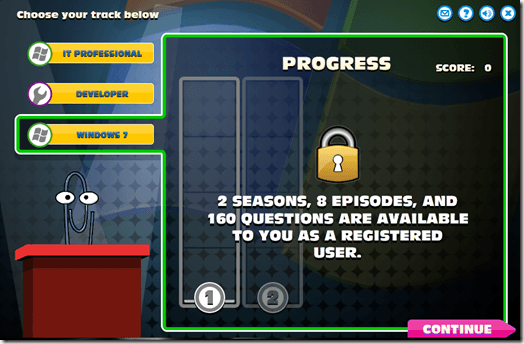 For example, you can play the game specifically to focus on IT Professional or Developer questions. 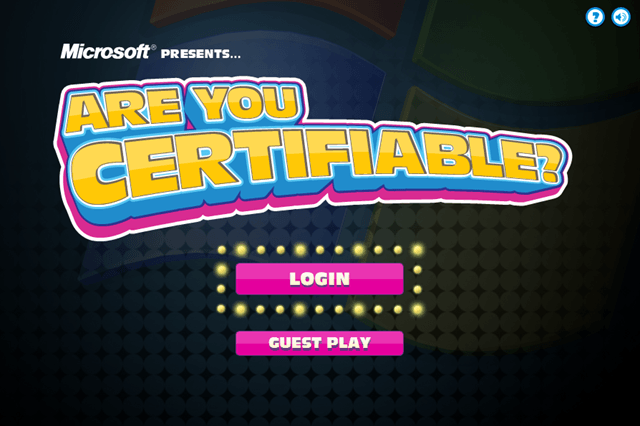 To get started with the Microsoft Presents… Are You Certifiable game, head on over to this page. 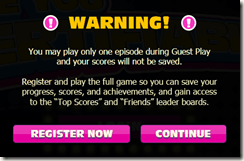 From there, you can choose whether to login or play as a guest. There is no special login required to play. You can simply use your Microsoft Live account or Hotmail account. 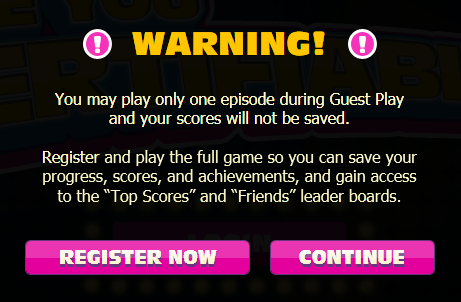 If you select Guest Play, you will be limited to playing only one episode, and you cannot save any of your scores. The game itself is pretty basic, but we will walk through the steps to get you setup. 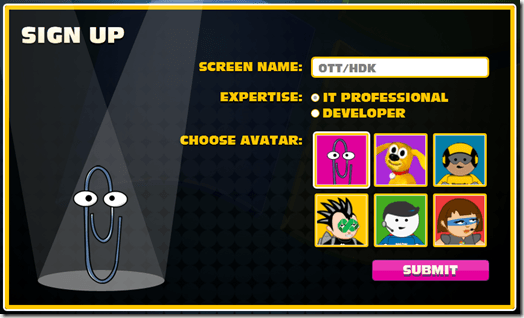 The first screen simply asks you to choose a screen name, and choose whether or not your are an IT Professional or Developer. 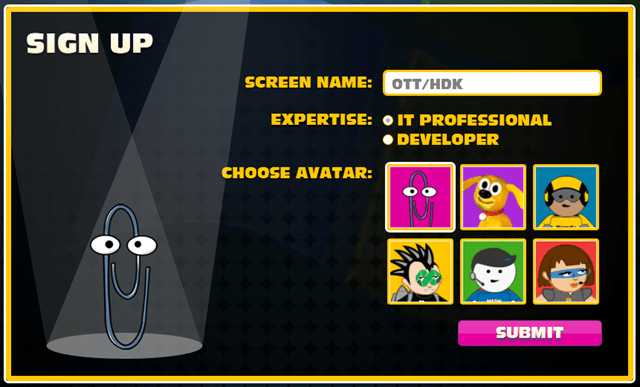 You also have the option of choosing an avatar. When you are ready to get started, click the OKAY button. 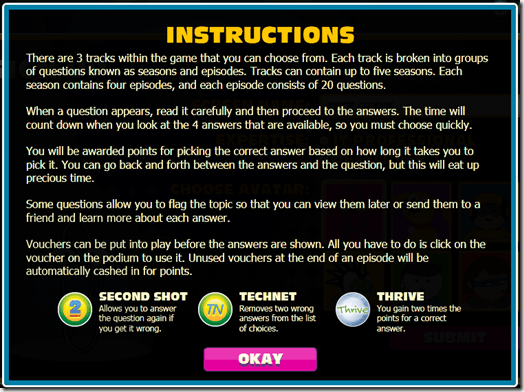 The next screen lets you choose a topic for the quiz. 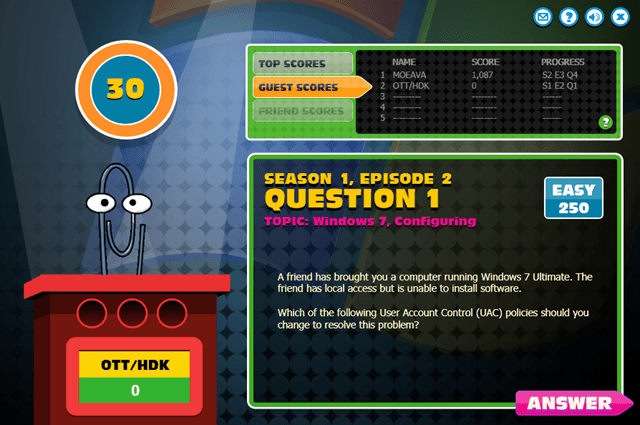 For this tutorial, we will choose Windows 7 knowledge. 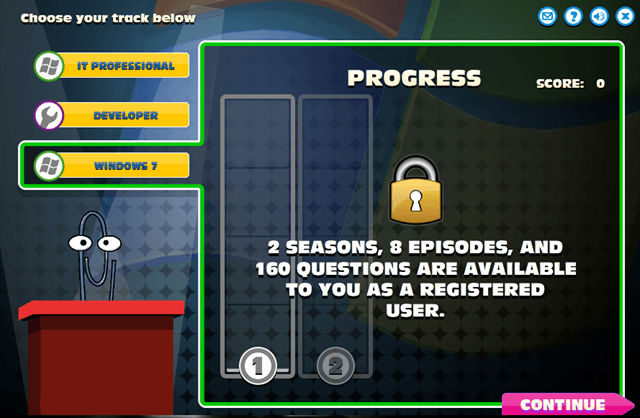 Pick whatever track you would like, and push the CONTINUE button. The game is timed. 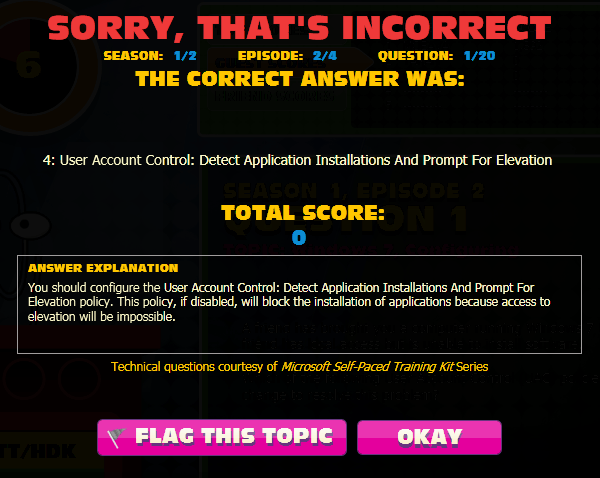 However, the timer does not start until you click the ANSWER button. 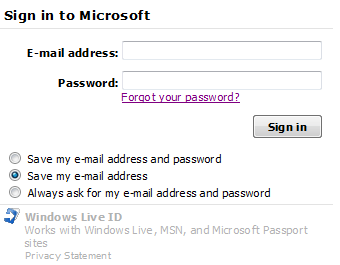 Thus, you get plenty of time to read the question before submitting your answer. 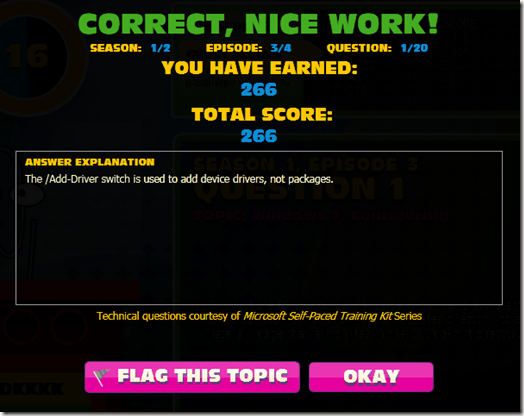 Now, I’m going to attempt to answer the first question, use the Windows 7 Sniping tool to get you guys a screenshot of the timer moving, and answer it. That’s basically all there is to it. 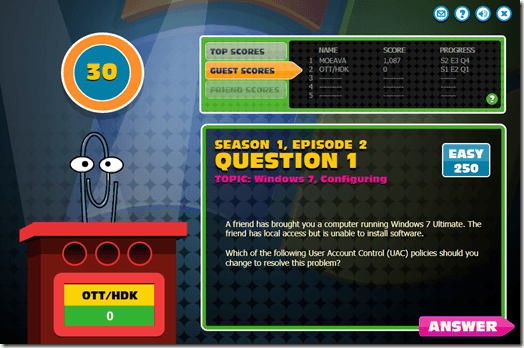 Now you can try out the different seasons, and test your IT Pro, Developer, and Windows 7 knowledge with the Microsoft Are You Certifiable game. Now you just have 20 more questions to answer.